Before Nov. 8, the big advertising holding companies faced a straightforward, slow-growth future. The business would continue to evolve, and the agencies would continue to adapt by expanding their capabilities, especially in digital media. But the election cast a blanket of doubt on the prospects for the major players. "To be clear, there was little uncertainty during the campaign," says Brian Wieser, an analyst at Pivotal Research Group. "Most business observers would not have believed that this outcome was possible. Now there is uncertainty." Industry watchers are grappling with the implications of Donald Trump's victory for the ad business, which had already absorbed one electoral shock with the vote in June by British citizens to leave the European Union. 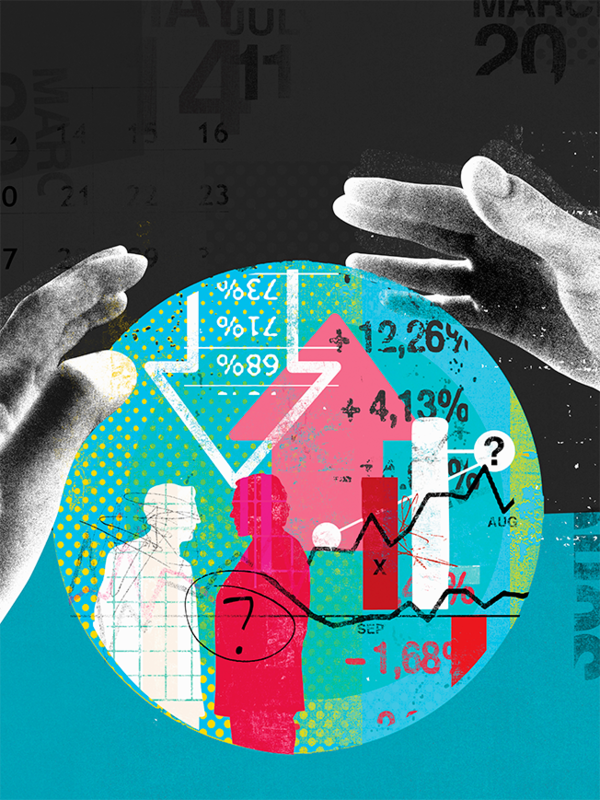 In their last quarterly reports before the presidential election and the first to fully reflect the U.K. balloting, the big holding companies—Omnicom, Interpublic, WPP, Publicis and Havas—offered a mixed reading on the health of the industry. At one end of the spectrum, Interpublic beat earnings expectations and boosted its outlook for the remainder of the year. At the other, account losses took a toll on Publicis, which reported weaker North American sales. For the ad industry, the big fear is that buyers will simply put their spending plans on hold while they wait and see how the new administration takes shape. If, for example, Trump follows through on his harsh campaign rhetoric regarding international trade, cross-border business could become more difficult. "We got so little insight into [Trump's] policies and plans from the campaign," notes Tim Nollen, who follows the ad industry at investment bank Macquarie. "What does that mean for trade relations, the strength of the dollar?" On the positive side, the Trump administration might turn out to be good for the business. "The early indications [are] that Trump wants to promote infrastructure spending, reduce taxes, ease repatriation of cash—and if we see a rise in interest rates and increased inflation, all those would be good for advertising spending if everything lines up right," Nollen said. Note the key qualification: "if everything lines up right." In fact, there are reasons to be bullish about 2017. "I want to use the term 'cautiously optimistic,'" said Tom Eagan, an analyst at Telsey Advisory Group. "It may be overused, but in this instance, it really works." Eagan pointed out that some of the worrisome trends from 2015 did not continue into this year. "Twenty billion dollars in account reviews is not normal, but that didn't continue into '16," he said. "So that's positive." In addition, the growing complexity of the ad business works in favor of the big companies, which are immense repositories of increasingly necessary expertise. Eagan cites the issue of measuring audience size and reach, where media vehicles such as Facebook, the TV networks and cable providers all use their own metrics. "The idea that you could do this yourself is, to me, just impossible," Eagan said. "The agency has been a way to interpret this Tower of Babel." Martin Sorrell, WPP's chief executive, was among the first ad industry leaders to cite Brexit in reporting disappointing results. Sorrell blamed the vote for a slowdown in his company's U.K. business. He may have a tough time making the case. "I don't know if we've seen any concrete evidence that it has hurt ad spending," Nollen said of the vote. In fact, most observers point out that the U.K. won't leave the EU for at least two years, and the contours of that move are still a matter of conjecture. Nonetheless, Sorrell clearly believes he has detected unease among clients, and he has moved to strengthen WPP's businesses on the continent. In addition, the company in late November unveiled a reorganization designed to bolster its GroupM media division. After an investor presentation on the move, Wieser wrote in a report that "WPP remains best-positioned strategically vs. peers and their long-term growth should slightly outperform given the company's business and country mix."